Have recently been sent some pictures from Belize by Keith Parkinson. From a part of the world not greatly covered and all over 10 years old. 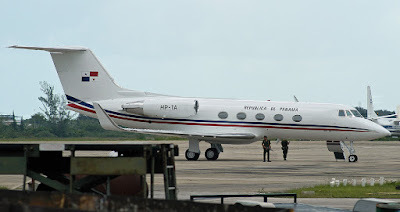 Some of his Gee Twos and Threes have been added to the Gulfstream photo site The Panamanian G2 (with armed guards hence the sneaky shot) has been seen more recently at St. Lucie. 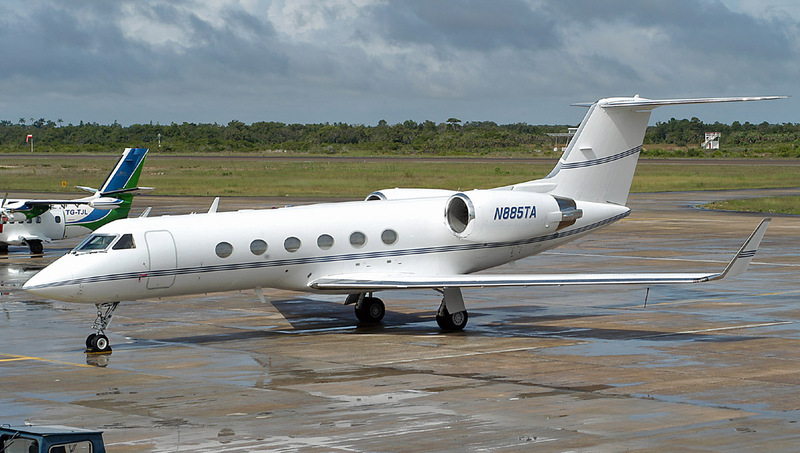 The G4 is the 4th one built (1003).